1 of 3 On high speed, beat together sugar and butter until fluffy, about 3 minutes. Add vanilla and cream. Continue beating until well combined, 1 minute. 2 of 3 Transfer half the frosting to a decorating bag fitted with a large star tip. Tint remaining frosting with gel food coloring until desired color. 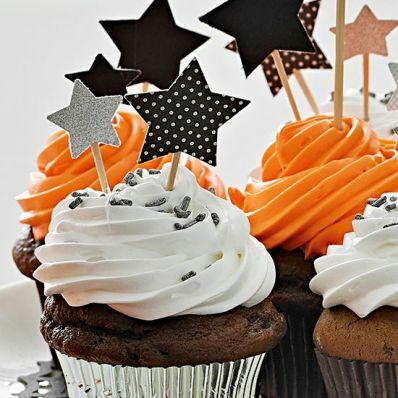 Transfer orange frosting to another decorating bag fitted with a large star tip. Pipe frosting onto cupcakes. 3 of 3 Note: To keep the frosting pure white, use clear vanilla extract.